Arkade Graphics came into possession of a car body panel and decided it needed a new lease of life as it looked a bit worse for ware . 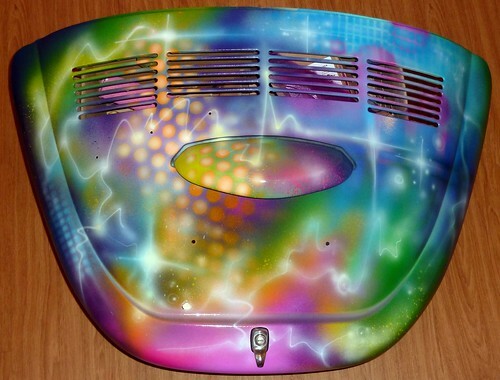 This entry was posted in Artwork and tagged beetle spares, custom car body painting, custom dubs, one off boot lid rear, painting cars, treat your vw beetle, volkswagon body panel, vw beetle. Bookmark the permalink.